I met a man who told me all about his life in the four hours we spent together. I find the experience hard to take. 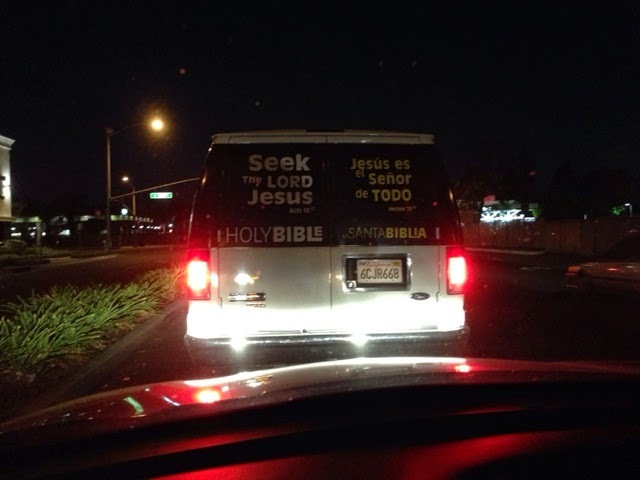 I also find it hard to take overt Christian propaganda this this from my drive home tonight.